The biggest barrier between you and a successful blog is creating the content. Content that gets read, shared and acted upon takes time and thought to create. It’s not something you can rush up in 10 minutes so if you do plan to blog you need to make time for it. And that doesn’t mean once in a while. It means consistently week by week. So if you’re struggling to get going and your fingers are at a loss of what to write, try these 25 content ideas and you’ll soon find yourself whizzing through that dreaded writer’s block. List posts are powerful, relatively easy to do and they work. If you’re stuck with a blog idea go for a list. You might think that readers will get fed up of them, but the fact is they don’t. Lists are easy to navigate, quick to scan and tell the reader exactly what they’re going to get. How To blog posts are another incredibly powerful weapon in your blog arsenal. Again they deliver value by promising your reader they will get an answer to something. They key is to tap into what your readers want the answers to. Need some inspiration? Then think about some of the common questions your customers ask. Suggesting to readers that they might be making a mistake is a powerful way to attract visitors to your blog. If you want evidence of the potential impact, read this guest post I wrote for Jeff Bullas. Mistake posts work so well because as a reader you just have to discover what the mistakes are. This type of post plays on people’s fears because they need to know if they are making the mistakes you mention. After all, one of the things that can be most damaging to your business are the things you didn’t know you didn’t know. If you can tap into the fears that keep your target customers up at night, the likelihood of your posts getting read will increase – dramatically. If you pick the right angle, warning posts can be hard to ignore. Have a read through these article ideas to see how you could use them for your business. Warning: Is Your Print Advertising A Complete Waste Of Money? Blogging is a great way to position yourself as an authority in your niche. Here are some great title ideas which will showcase your expertise and subtly allow customers to understand how you add value. A clear strategy. What do you want your blog to achieve? Be specific. Is it more subscribers to your newsletter, more enquiries, more customers? Get those metrics clear and ensure each post is tailored towards delivering on that objective. Relevance. Don’t fall into the trap of writing for your peers. Your blog will work harder if it appeals directly to your target customer. So get clear on your customer’s pain points, ensure it answers their pressing questions and work hard to add real value. Depth. You’ll get the best results if you build an audience who are attracted by the value your blog adds. You’ll see this working over time as your content grows, links between posts increase and you offer more solutions and ideas to your knowledge hungry visitors. What’s your favourite blogging angle? What headlines have you found work every time? 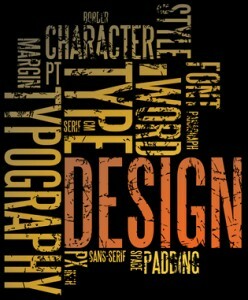 How could you use these ideas in your own design and print business? Please let me know in the comments below. And if you’d like to talk with me about your blog, why not email georgina@gemwriting.co.uk now and let’s book a chat.